DOES MY ORGANIZATION NEED CYBER LIABILITY COVERAGE? A large majority of non-profit and social service executive directors, boards of directors and risk managers are not aware that their standard insurance coverages (Commercial GL, Property, D&O, crime) typically don’t provide proper coverage for cyber liability. Most employees and IT professionals don’t know that they (along with their organization) have an exposure to cyber risks and how that exposure can pose a significant financial threat to their institutions. ENPICA is here to make sure you are covered. …carries a significant exposure to cyber risk. In a perfect world, no wedding or special event would be affected by extreme weather, no show vendors, or accidents. But sometimes there are circumstances out of your control. Sometimes you must cancel an event that you have planned for months. And sometimes, an accident occurs and you become responsible for repair costs. In a society where litigation runs rampant, it’s always best to protect yourself, your reputation and your guests’ welfare. Event insurance is an excellent way to do that. It provides a layer of protection for everyone’s investment. ENPICA offers you an easy, affordable way to purchase event insurance. There are two major categories of event insurance that you should consider. Event cancellation coverage may reimburse you for lost deposits and other fees should something unexpected force you to delay or cancel your function. If your photographer closes shop suddenly, you will likely be covered for the cost of the lost deposit and potentially unexpected charges from having to book another photographer at the last minute. If your officiant breaks his leg the day before the wedding and you are forced to postpone, this coverage may help cover any fees associated with rescheduling the venue, caterer and other vendors. Event liability coverage may help protect you if you are found responsible for property damage or an injury caused during your event. If the band you hired damages a wall with its gear, for example, this coverage may help pay for repairs. Some policies also cover incidents caused by guests. 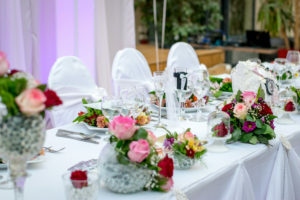 For example, if someone gets a little wild on the dance floor and trips a waiter as he walks by, event liability coverage may help pay for medical expenses resulting from an injury. There are additional coverages that you may consider as well. One of the more frequently purchased ones covers Social Host exposure. Liquor liability coverage provides an extra layer of protection for events where alcohol is served. Under Arizona law, a social host is not liable for injuries suffered as a result of someone who attended a party and injured someone while intoxicated. However, there are two exceptions to this general rule. First, if the social host is licensed to sell or provide alcoholic beverages that person can be held responsible. And second, if the intoxicated person is under the legal drinking age, then the social host can be held responsible. During a fundraising event. the claimant tripped over an electrical cord that was taped to the floor and sustained a knee injury. This was a $2,500 claim. A $25,000 claim alleged Liquor Liability after an intoxicated person left the insured’s fundraising event and injured a third party in an auto accident. At a winter antique show, the claimant allegedly cut her lip when a glass she was drinking from broke. This was a $10,000 claim. ENPICA would like to help you protect your investment. Click on the appropriate link below and complete the application. We will contact you. DOES YOUR CTSO ASSOCIATION NEED A FOUNDATION? Here at ENPICA we often get questions from our associations about whether a foundation would impact their organization and how its role and the role of its board are different. We would like to take this opportunity to talk about the difference between the two types of organizations, and perhaps encourage you to think about how establishing a foundation might benefit the important work you do for the students you serve. A local or state association is tasked with providing and managing the multitude of student programs contained in the co-curricular activities of its partner schools, including organizing and coordinating a variety of classroom and regional activities. Each association works with their national association to develop these programs and to create events and competitions for student members to showcase their skills. Most, if not all, associations have a Board of Directors or Advisory Board to oversee the creation of Bylaws and membership requirements and to help with the many activities of the association such as event coordination and competition judging. Some associations have realized the need to form a separate non-profit entity in the form of a foundation to manage the fiscal resources and responsibilities related to the association. 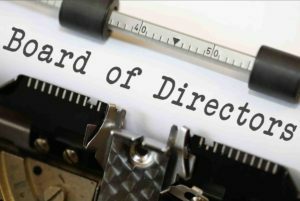 Foundation Boards of Directors or Advisory Boards are usually comprised of individuals who have financial and legal savvy and understand the importance of sound financial management and developing effective and responsible budgets. Foundations may be minimally involved with program supervision or event organization. Associations who have established foundations understand the importance of having a separate organization that is in charge of raising some of the funds needed for the association to operate, including organizing fundraising activities and applying for appropriate grants. Additionally, having a foundation can simplify finances in the event of a leadership change. This frees up valuable time for the association and allows them to focus on what they do best – helping students achieve their career and technical education goals. Perhaps equally important, should an association compromise or lose their national charter, having a separate foundation in charge of fiscal matters can reduce the likelihood of the national organization acquiring the assets of the association. As the experts in CTSO Risk Management, ENPICA understands and acknowledges the unique position these associations have in the education arena and the value they contribute to their communities. Because we truly care about what you do, and believe in the Mission of your work, we want you to be protected from events that can prevent you from delivering the services you work so hard to develop and implement. As separate entities, both associations and foundations should be insured against risk. We have a number of products that can protect your organization and events as well as your directors and officers. If you have any questions about this article, or would like additional information, a free risk assessment, or an insurance quote, please feel free to contact us.